Biomedical metal materials such as titanium, magnesium and their alloys have been widely studied as orthopedic implants or cardiovascular stents due to their desirable mechanical properties and excellent biocompatibility. However, these metal implants still exist some problems in practical application including bacterial infection, lack of bioactivity, and uncontrolled corrosion behaviors. To address these problems, the performance of these metallic implants can be improved through surface modification and incorporating alloying elements into raw materials of implants. This special issue publishes 11 original research articles focusing on the research of biomedical metal implants. In detail, this issue covers the design of surface multifunctional coatings and composite metals with antibacterial, bioactive properties and controllable corrosion behaviors. Furthermore, the mechanical properties of porous scaffolds and new endovascular stent-graft system for endovascular aneurysm repair are also included. Research on biomedical metal implants involves the fields of metal material science, surface science and biomedical science. This interdisciplinary filed requires in-depth physical, chemical and biomedical understandings and we need to consider all things comprehensively for the fabrications of ideal biomedical metal implants. 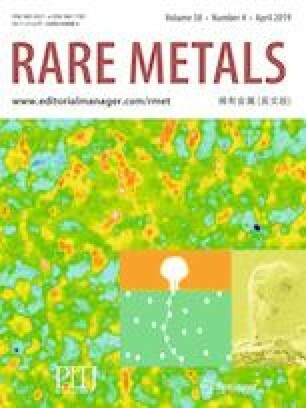 This journal will continue to offer more opportunities for publishing high-quality papers rapidly in the research of biomedical metal implants and the related surface functionalization.